Credit: NASA/GSFC. Download this image (JPG, 60.5 KB). [08-Sep-16] This graphic was created to announce the PACE mission after it passed the Key Decision Point - A (KDP-A) review in June of 2016. 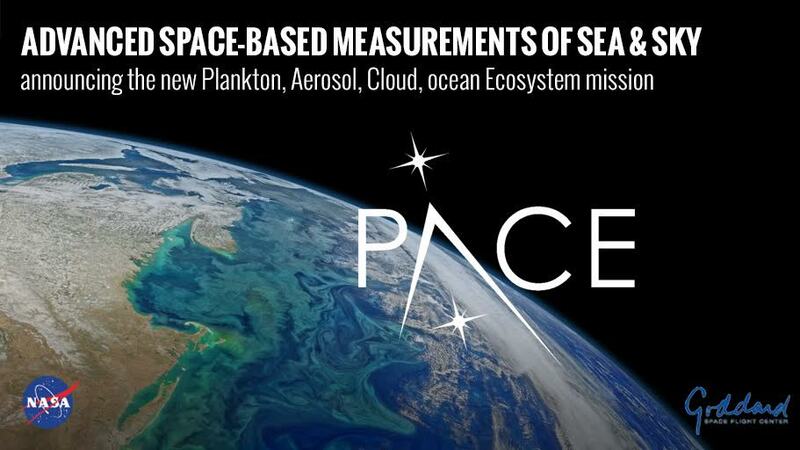 The PACE mission will obtain space-based measurements of sea and sky to investigate plankton, the ocean ecosystem and the future of the climate.